The first graphic novel--a mesmerizing fictional chronicle of a universal American experience. Through a quartet of four interwoven stories, A Contract With God express the joy, exuberance, tragedy, and drama of life on the mythical Dropsie Avenue in the Bronx. 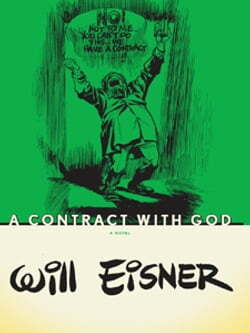 This is the legendary book that... read more launched a new art form and reaffirmed Will Eisner as one of the great pioneers of American graphics.